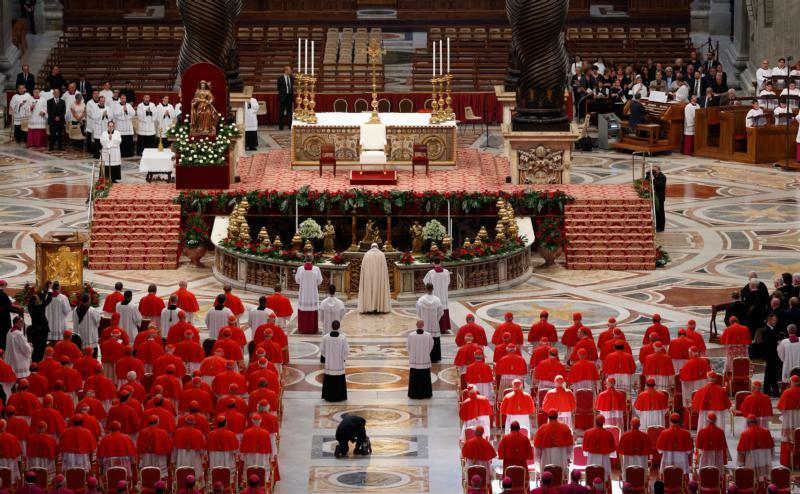 VATICAN CITY (CNS) — Church leaders who are attached to money and try to climb the ladder of success wound the church and destroy people’s hope, Pope Francis said. Shepherds and those in positions of authority within the church who say one thing and do another “drive people away with their example, with their incoherency, with their own inconsistency,” the pope said Nov. 13 during his morning Mass at Domus Sanctae Marthae. “The inconsistency of Christians is one of the easiest weapons the devil has to weaken the people of God and to drive the people of God away from the Lord,” he said. In his homily, the pope reflected on the day’s Gospel reading from St. Luke in which Jesus warns of those who cause scandal through sin. “It would be better for him if a millstone were put around his neck and he be thrown into the sea than for him to cause one of these little ones to sin,” Jesus said. Scandal “is also capable of killing: killing hope, killing illusions, killing families, killing so many hearts,” he said. One of the ways men and women are scandalized today, he added, is when they see an attachment to money and power, especially by those who are called to lead the church. Pope Francis called on all Christians, especially the church’s pastors, to “make an examination of conscience” so that “we can respond to the Lord and be a little closer to him” rather than causing scandal. “Every shepherd must ask himself: how is my friendship with money? Or the shepherd that seeks to move up; vanity leads him to climb up instead of being meek and humble because meekness and humility encourages closeness to the people. Or the shepherd who thinks he is a lord — proud — and commands everyone, not a shepherd who serves the people of God,” the pope said.